Today I have a recipe for you that consists of only ONE ingredient! A super healthy and soo tasty ingredient for baking, cooking, to spread over your muesli, spread on bread, etc. (it is even suitable for skin care, but I am not sure if it tastes too good for that ;-)). It contains in addition to the valuable medium chain fatty acids (mainly lauric acid here) many vitamins, minerals, enzymes and fiber. Of course, you can buy coconut butter (in your organic supermarket), but it costs around 6 EUR and I prefer to save my money and do it myself! It is important that you use enough coconut so that the blades of the food processor are always covered. I used my little food processor and 200g desiccated coconut and got a small jar of about 200ml coconut butter out of it. But if you have a medium or large food processor, better take twice as much desiccated coconut. 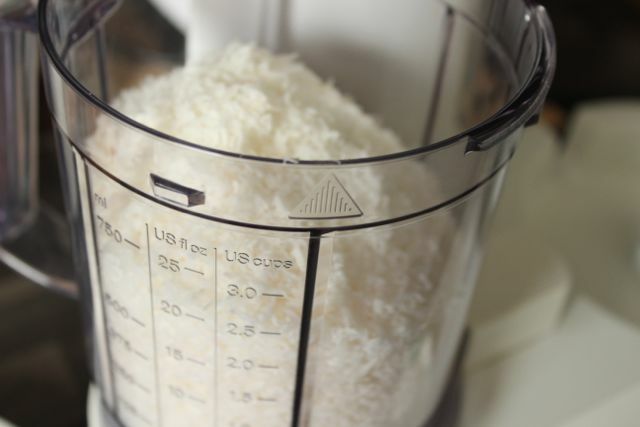 Place desiccated coconut in the food processor and blend for 15-25 minutes. 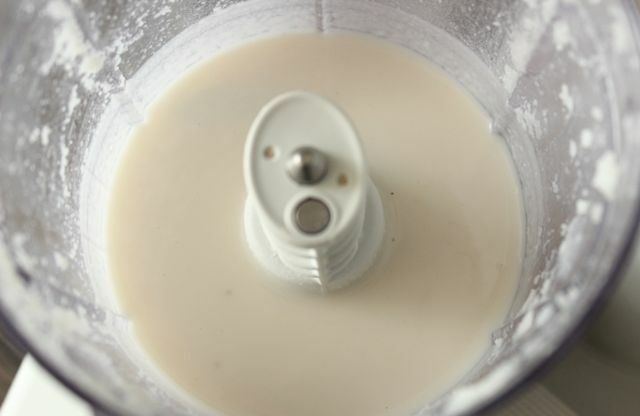 Depending on how strong your food processor is, sooner or later the creamy, liquid coconut butter forms. So be patient, it’s worth it!! 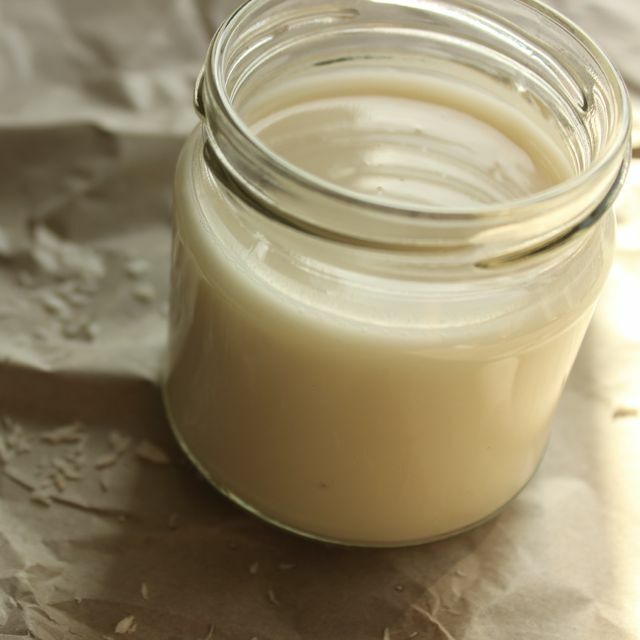 If you store the coconut butter in the fridge, it will get hard, but it will get liquid again when you take it out or heat it up. I’ll be using the coconut butter in my upcoming recipes and am quite excited to see how that works out!